This month’s blog focuses on how to ask better questions in healthcare IT public relations and marketing interviews. It also provides a few tips for generous listening—advice all of us could use, including me! You’ve heard it said hundreds of times. 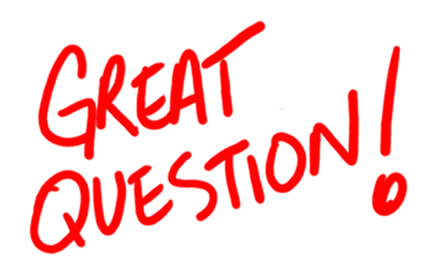 “That’s a great question” is a common response during media interviews, presentations and even personal conversations. This response allows a few seconds to construct a thoughtful answer. It also affirms and validates the questioner. Public relations professionals often use the same technique when meeting with clients, subject matter experts and healthcare industry editors. Agency Ten22’s marketing director says asking a great question AND listening fully to the answer is her secret weapon for killer campaigns and promotions. Every interaction leads to meaningful discussion and ideas when the right questions are asked. The first step is to ask. When preparing for interviews, the writing team at Ten22 has three proven steps to get the content we need during the call. Preparation goes a long way in ensuring productive interviews and shareworthy content for our clients. Most healthcare IT interviews at Ten22 focus on known topics. We’ve been in healthcare for decades and remain abreast of industry changes. It’s hard to stump a Ten22 expert! However, new topics do crop up from time to time. And when they do, we do our homework. For new topics in healthcare, we take time before the call to research the topic across the industry—and from different perspectives. It is important to be aware of recent or upcoming regulatory changes impacting the topic and any key concerns for the target audience. Researching a topic before the interview instills trust and shows genuine interest in the person we’re interviewing. According to Krista Tippett in her book titled “Becoming Wise: An Inquiry into the Art of Living,” questions are powerful. They are the means by which we explore ourselves, each other and the world. We agree. With a focus on the intended deliverable and target audience, we develop questions that invite honesty, dignity, an opinion and a story. Dare to be curious and inquisitive in your questioning and listen intently. Even with a stellar list of questions in hand, interviews can go off track. Stick to the topic and questions as much as possible while also allowing for a free flow of thoughts, sharing and anecdotes. Real-world examples make great content within an article, blog or case study. Don’t be afraid to ask an interviewee to elaborate by including an example or story to support their response. However, if the interviewee has wandered way off course, then redirect, improvise and take a detour to get back on the right path. Answers mirror questions. A simple question will elicit a simple response, so it’s important to listen closely and capture every thought. Asking an interviewee the same question in a slightly different way adds more insights and color to the conversation. By listening carefully, we capture the finer nuances of a response. It’s important to be quiet, talk less and truly hear what the client is trying to convey. Listening and then repeating back what someone says shows you are paying attention and makes for clear communication. Listening is especially essential for Ten22 as we build spot-on marketing campaigns or promotions. And it supports the outside-in philosophy we uphold at Agency Ten22. Tippett also advises generous listening as a way to inspire new conversations and relationships. In business and in life, the art of asking better questions and generous listening opens up a whole new world for those courageous enough to take the step. If you’re ready for a healthcare IT marketing or public relations partner that knows how to listen, give us a try. We’re here!